The Saber Spot WW is a compact Pinspot with a 15-Watt warm white LED. Features DMX-512, flicker-free operation, strobing, electronic dimming and has a 4-Button DMX display system on the rear panel. 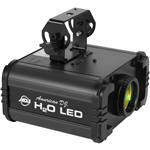 Its built-in ACL lens produces a razor sharp 4-degree beam angle. The Saber Spot WW has a scissor bracket system that allows the fixture to be hung or set on the ground, and is ideal for performance stages, installations, table spotting, lighting retail stores. Add this to your fog juice for an added scented effect. Great way to liven up the crowd or acheive a desired mood. F-Scents are water based and completely safe. 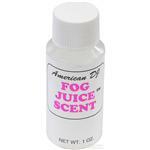 To add scent, simply pour a 1 ounce bottle of American DJ F-Scent™ Fog Juice Scent to a gallon; 5 bottles in a 5 gallon container, or 1/4 of a bottle in a quart bottle of unscented fog juice. F-Scents™ is made from water base materials. Using standard DMX-512 protocol, the Uni Pak II from ADJ allows for absolute control of dimming and on/off for your lighting. Features an on-board and external HTP (Highest Takes Precedence) slider. The Uni Pak II is perfect for a bar, club, stage, or the performer on the go. A well produced light show required exact timing and finesse when it comes to light levels and presentation. 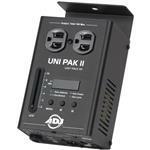 Luckily the Uni Pak II from ADJ exists to make your dimming and on/off control a thing of ease. 4 Channels A/C Power Center designed to eliminate messy cables. 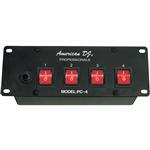 4 Lighted power switches on the front panel control 4 A/C 3-prong outlet on the rear panel. 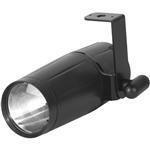 Ideal for switching lighting and sound equipment on and off. 15 amps/1800 watts maximum draw. Built-In 15 amp circuit breaker. 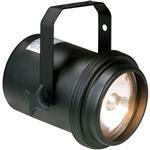 The PL-1000 is a Par 36 pinspot w/ 6V 30W 4515 Non-UL with screw cap. 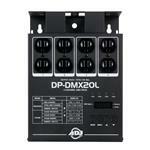 ADJ's DP-DMX20L is a 4 channel portable and universal DMX dimmer/switch pack. Each channel can individually be set to dim or switch and the pack can function as a one, two or four channel device. Using the packs digital display, the pack is quick and easy to set up. There are dual Edison sockets supplied so more than one effect can be connected to each channel. There are 16 built in chase sequences, with speed and intensity control, available for your convenience. Take your shows to the next level with the essential Scene Setter from ADJ. 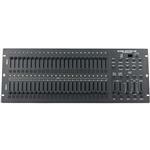 This 24 channel dimming console will give you the power to create the light show of a lifetime. Tying in your audio and visual production, the scene setter synchronizes the music with your lights and fog machine while also allowing for individual adjustment to each of your lights with it's 24 adjustable fade bars. 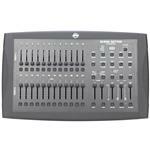 ADJ's Scene Setter is a 48 Channel Dimming Console for the purpose of managing the levels on your conventional light entertainment system. With lots of built-in reprogrammable scenes and chases you can easily create and manage your light show. This portable control system is perfect for the DJ at home, club, bar, on the road, or for any professional stage production. Take your shows to the next level with the essential Scene Setter from ADJ. Whether you are in a band, part of a stage performance or just want to add color washes to a lighting installation, the American DJ Punch LED Pro is the perfect solution to brilliantly light up any stage. This unit is equipped with 252, 10mm LEDs for an ultra bright "punch" and features DMX-512 and "LED Sync™" which automatically syncs operation modes with other American DJ products that have "LED Sync™." 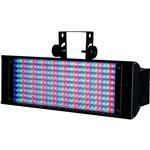 American DJ LED products are energy conscience consuming very little power. 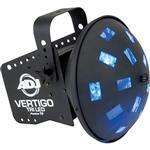 The classic Vertigo effect is now available buffed up with all the features found in LED technology. 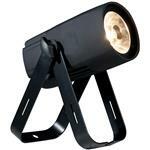 All in one affordable package including A black par 46 can, lamp, safety cable, clamp, and 4 different colored gels. Get it all together right here conveniently and save time and money. 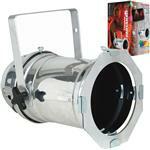 All in one affordable packaged including a chrome par 46 can, bulb, safety cable, clamp, and 4 different colored gels. Get it all together right here conveniently and save time and money. Utilize this inexpensive Pinspot LED Light with a mirror ball for an awesome array of spinning, reflective light, or take advantage of its bright 3W LED to bring attention to a particular architectural part of your venue. Encased in a compact, high-tech plastic design case, the LED light has a 50,000 hour lamp life, uses very little power, and puts out minimal heat. It comes with a hanging bracket and a 6° lens for when you want to mix things up. 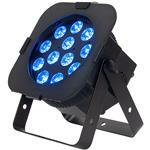 The H2O LED is an improvement of the very popular H2O 250 EX. 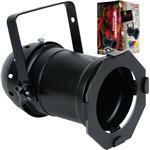 This new unit has better optics and brighter LED output producing vibrant colors. Great simulation of flowing water effects. 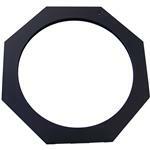 Gel Frame for Par-56B - Black.